For sale at our shop Horloge Platform Nederland, a Chopard Gran Turismo XL limited edition to commemorate the 1000 Miglia of 2006. 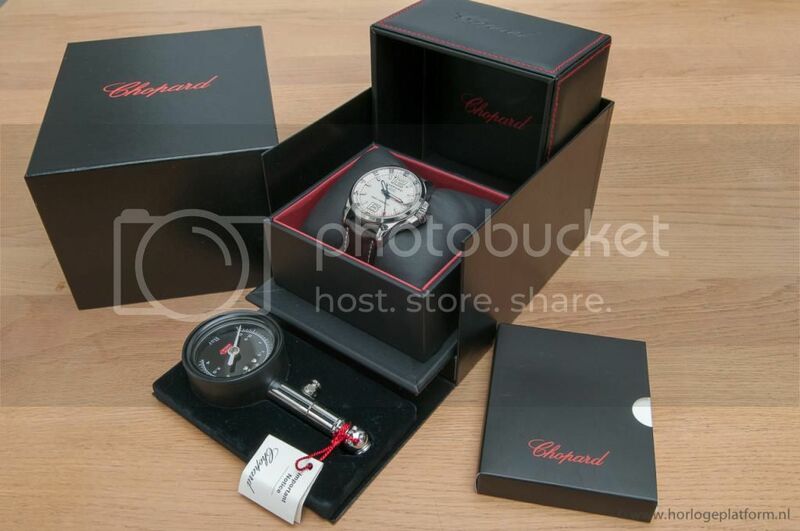 This is a very attractive version of the Chopard Gran Turismo XL of which only 2006 pieces have been produced. The Chopard reference number of this watch is 16/8458, and the watch measures 44 mm. Of course it sports sapphire crystal, and it has a little magnifying bubble above the date indication. The case back of the watch is stunning. Price of this beauty is € 2.490,= (plus S&I). More information can be found through our website www.horlogeplatform.nl at our Chrono24 listing. Stay tuned for the next sneak preview! This entry was posted on August 27, 2014 at 14:52 and is filed under all, for sale, for sale 'a to d', front page. You can follow any responses to this entry through the RSS 2.0 feed.